St Benedict’s was moved from the Gauteng union to Easterns three years ago on the basis that it is located in Ekurhuleni. Luke was in grade 10 then and he made the Easterns U17 team that year, and got the nod for the U19s the following year. ‘I had a pretty decent Khaya Majola Week last year,’ he said. 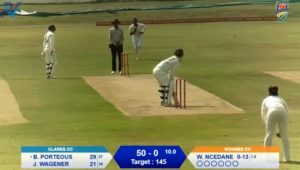 ‘I made a 100 against Limpopo and a 40 and a 30,’ said Holland, who scored two centuries during his school’s pre-season tour to Zimbabwe, so he is heading into Khaya Majola Week in good form. Luke is a top order batsman who also bowls a bit of off-spin. ‘We have three good spinners in the team, so the plan is that I won’t bowl at the week unless we need some variation. 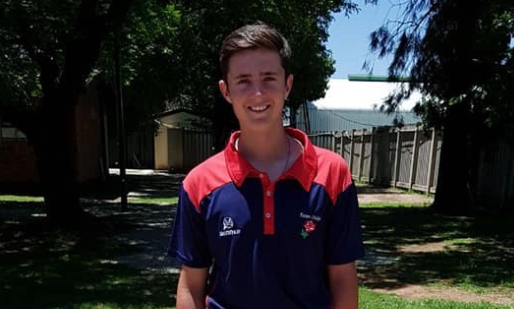 I might give myself a few overs in one of the time cricket games, depending on how it’s going,’ said Luke, who is aware that Easterns always go into the Khaya Majola Week as underdogs. The Easterns team comes from a wide range of schools. There are two St Benedict’s boys and the only other school with more than one representative is EG Jansen, with three.